"At Elloughton Primary School all our dedicated staff are committed to ensuring that we provide the very best education for all the children in our care, and I am privileged to see the many achievements of our pupils every day.. Every child is known and cared for as an individual. Elloughton has a supportive and caring community, where children’s talents can grow and flourish through learning and the opportunity to participate in the many activities. We ensure each individual pupil achieves academically through consistently good teaching, in an environment that seeks to nurture their love of learning and challenges them to excel. We are a school with a positive, welcoming, warm atmosphere, where pupils take pride in their achievements. We encourage our pupils to be responsible for their learning, to grow in confidence and become independent. I feel privileged to lead a team of professional, talented and committed staff. I hope that you enjoy browsing our website and that it gives you an insight into all that we do at Elloughton and the many different experiences and successes our children have enjoyed. Take our 360 Virtual Tour! "OUR MORAL COMPASS WILL GUIDE AND INSPIRE US TO LEARN, TO CARE AND TO FULFIL OUR DREAMS IN LIFE'S JOURNEY." The values we have here at Elloughton form part of our everyday life in school and guide our thinking and behaviour. The values are evident in our curriculum, the way we teach, in the behaviour policies and in the way adults treat children and each other. We strive to ensure we are instilling these same values in our children so that they learn to treat others with kindness and respect. 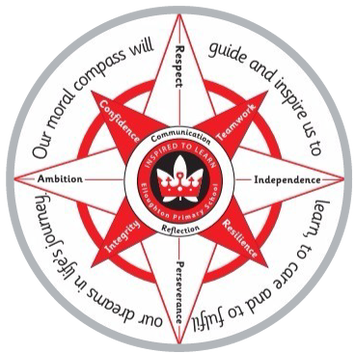 Our moral compass gives us a clear sense of purpose and direction, underpinning all we do at Elloughton and preparing all of our children in a rapidly changing world. Morning break is between 10.15 a.m. and 10.30 a.m. Lunch break is 11.45 a.m. to 1.00 p.m.
School closes at 3.30 p.m. Lunch break is 12.00 noon to 1.00 p.m. If you would like to read our parent handbook please click here. We are thrilled to announce our nursery successfully opened on the 25th April 2017. 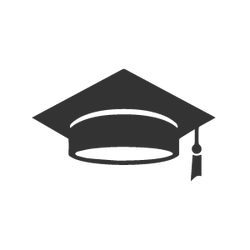 Should you require any further information or wish to apply for a place, please access the Nursey page using the link at the top of this page. See whats on the menu!